A simple and elegant design. Stitched mostly in white thread, the design has a pretty lace effect set against the blue fabric. 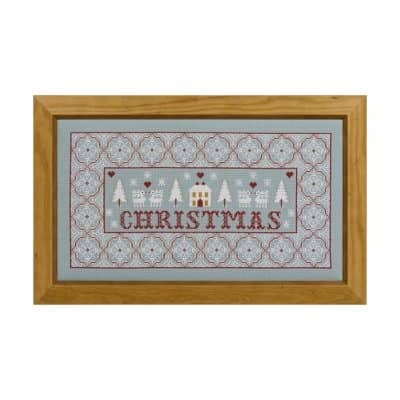 This is one of our most popular christmas designs - gorgeous.